You can also set a custom location in Xcode above the output console. If you go back to the app and press the Refresh button, it should update. We can improve the UI, though. We can replace the icon label’s text with an emoji and reverse-geocode the user’s coordinates to get the city name. We can access emoji in the dictionary by doing stuff like emojiIcons["clear-day"] or emojiIcons["snow"]. When we try to access an item that isn’t in the dictionary, like emojiIcons["hurricane"], it’ll return nil. Since it can return nil, this is a great place to use the nil-coalescing operator. We can update the icon label by doing self.weatherIcon.text = emojiIcons[data.icon] ?? "❓". 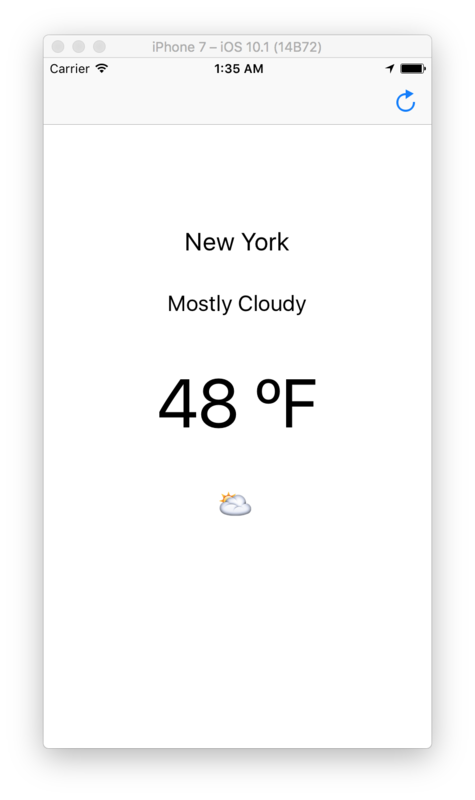 self.weatherIcon.text = emojiIcons[data.icon] ?? "❓"
let locationName = placemarks?.first?.locality ?? "Unknown Location"
Now when we run the app again, we see everything works as expected! If you’re having trouble, you can take a look at a copy of the fully-completed View Controller. 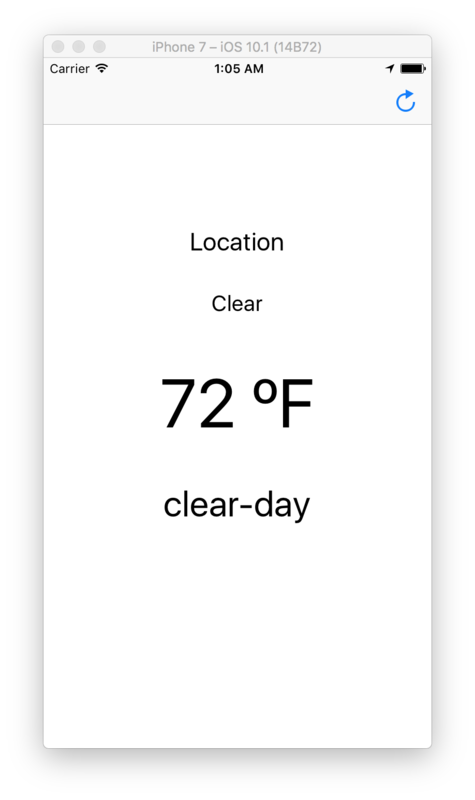 That’s everything – you’ve built a fully-functional Weather App using CocoaPods, Alamofire, SwiftyJSON, and CoreLocation. All in a day’s work!